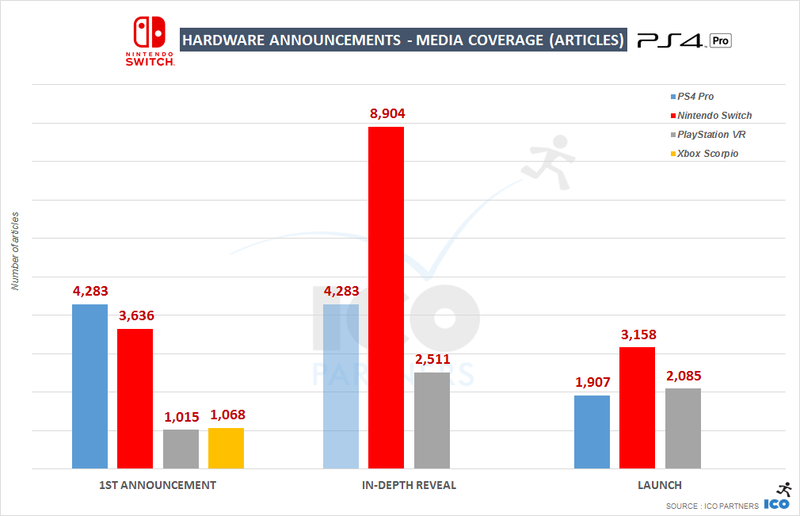 The Nintendo Switch is having an excellent start. 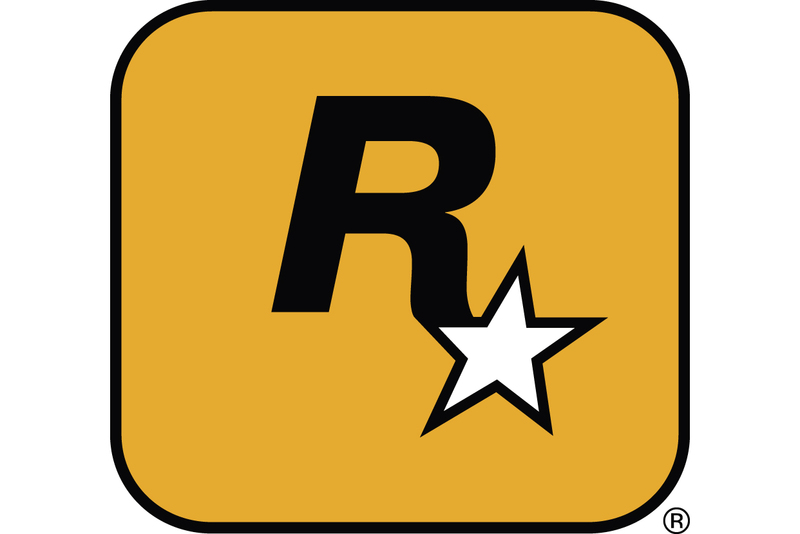 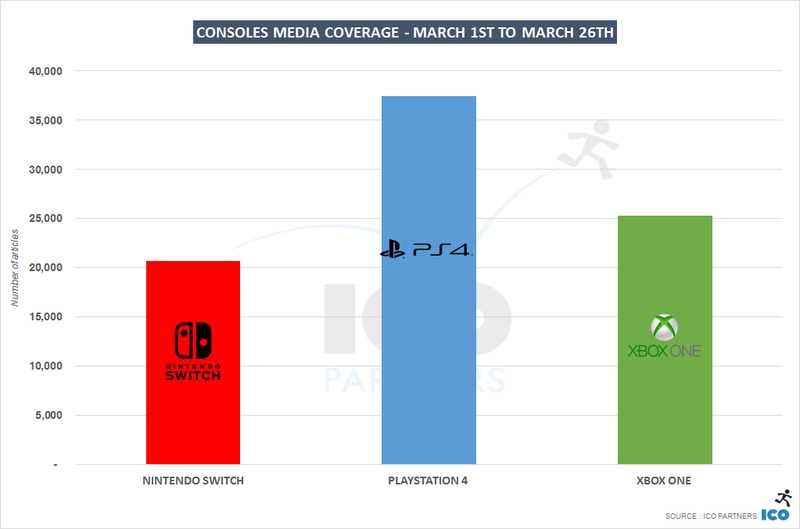 Of course, a lot of that coverage is thanks to the January in-depth reveal that got really good coverage, and the momentum of the launch, but for a console with such a limited line-up, it seems that there is significant interest for the console, outside of just the launch. 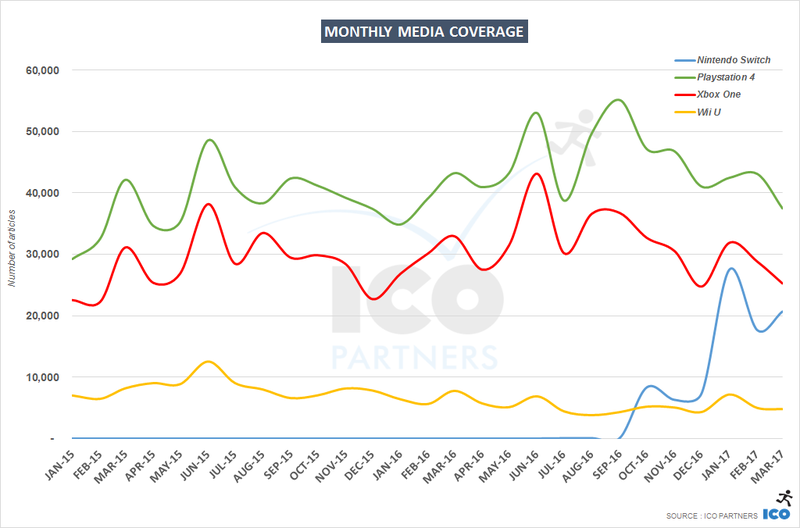 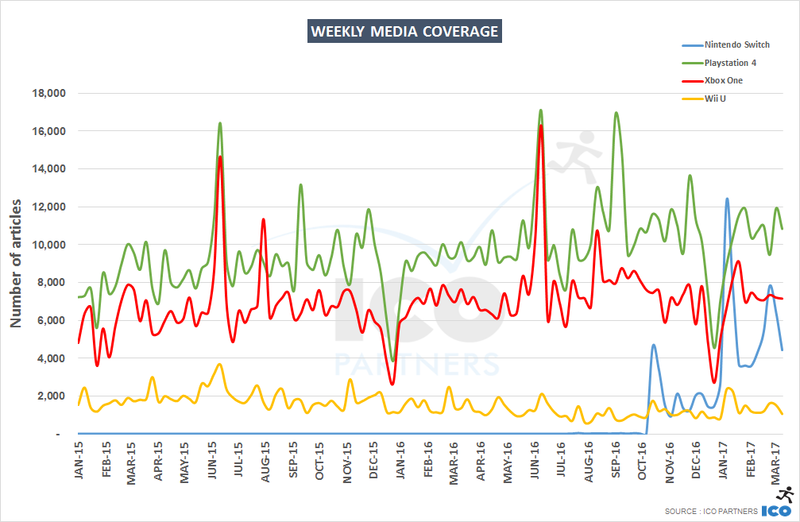 If the average weekly coverage stays around 4,000 articles/week, that puts it a bit above half of the Xbox One weekly average and at 40 of the PlayStation 4 weekly average, which would be an excellent foundation for Nintendo to build on.